Earn 145 - 240 points upon purchasing this product. 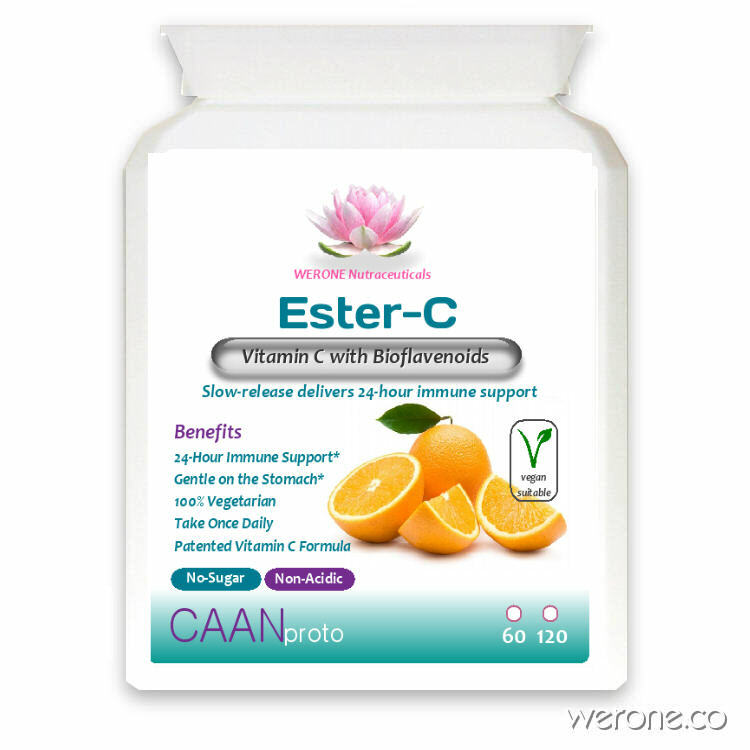 Ester-C® is a breakthrough patented Vitamin C formula supported with naturally occurring metabolites. Metabolites help enhance the absorption of Vitamin C by your white blood cells, an important part of your immune system. Ester-C®’s unique, chemical-free manufacturing process neutralises pH, making it non-acidic and gentle on the stomach. Use 1450 - 2400 points to purchase this product! In a daily 1,000 mg dose, Ester-C® delivers 24-hour immune support. So once or twice a day is all you need for normal healthy people. . Suggested Dosage 2 – 3 per day. Vegetable Magnesium Stearate, Vegetable Stearic Acid.